For the last seven weeks Woodsen has been on call, which was a great opportunity to make a little extra cash before our baby arrives, but it has left me very antsy to get out of town. I’ve been eyeing the Manitoba cabin for a while and with the only snow close by being up in the pass or at hatchers we decided it was a good time to try out the cabin. While the cabin is reserved most weekends during the winter, weekdays are pretty wide open, which works great for our week on week off schedule. We booked a double bunk in one of the yurts (which is only $34.oo) and packed our bags. 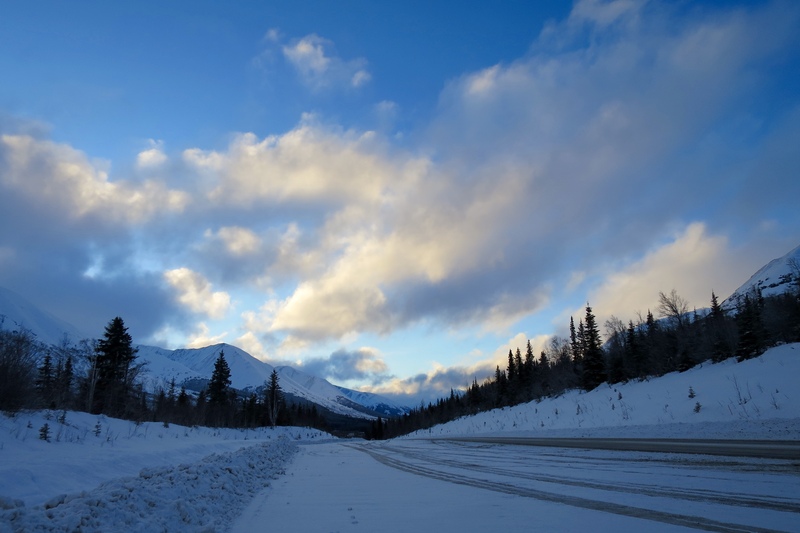 The trail to the Manitoba cabin is hidden away at one of the many pullouts on the Seward highway in Turnigan pass. 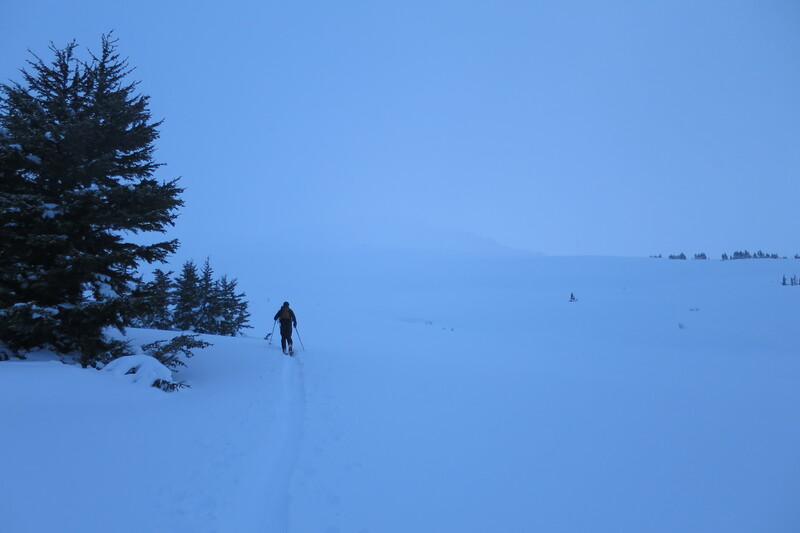 We found the mile 48 milepost, pulled over, got our gear ready and jumped on our skis for the short trip to the cabin (maybe 1/2 mile, if that). 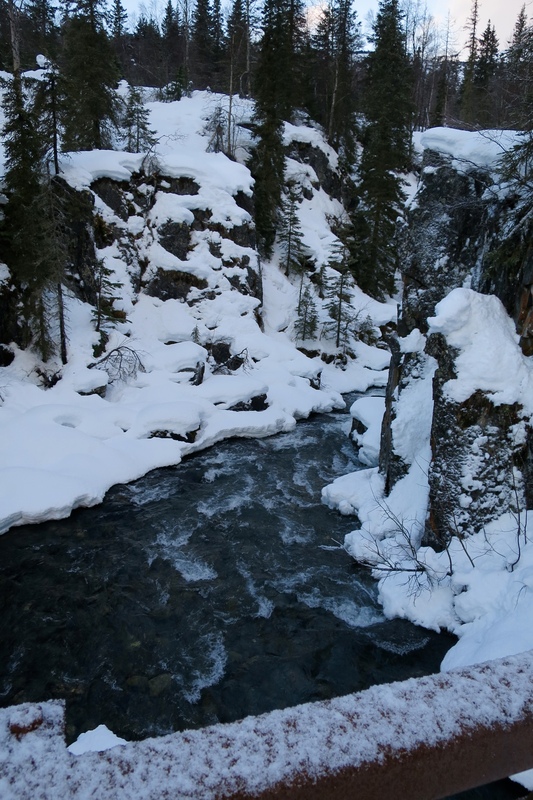 Right before you reach the cabin you cross over a beautiful creek, which also is the water source for the cabin (retrieved by dropping a bucket on a rope off the bridge 🙂 ). The first glimpse of the hut from the bridge. There it was! We ended up having the whole place to ourselves. 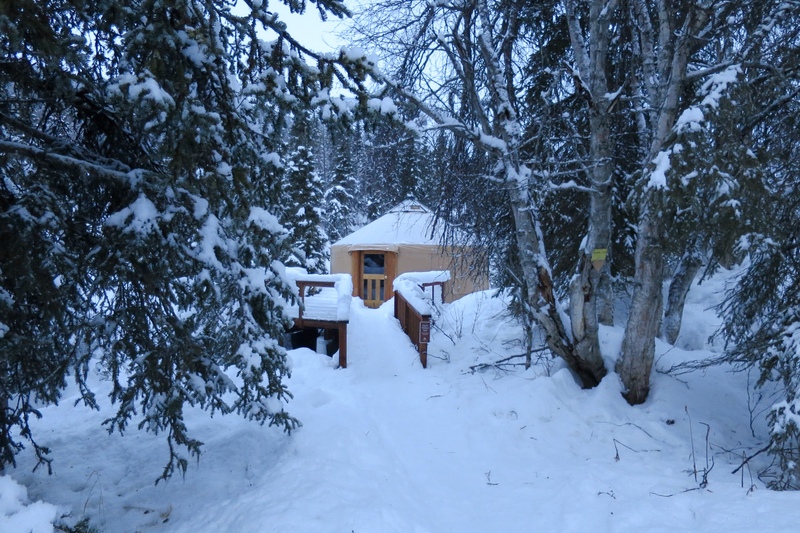 Not too far from the hut is the first yurt you can rent, the Spirit Walker. 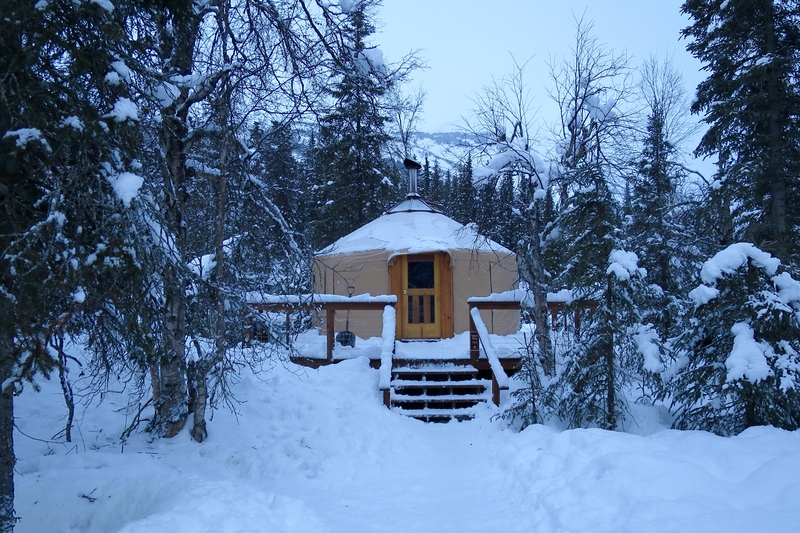 This yurt is handicap accessible, heated with a propane stove, and allergy friendly (no dogs allowed). The fancy outhouse is next on the trail. The 2nd yurt is the Toba Yurt. This one is dog-friendly and heated by a wood stove. Both yurts have 1 double bunk and 2 single bunks, all with mattresses. 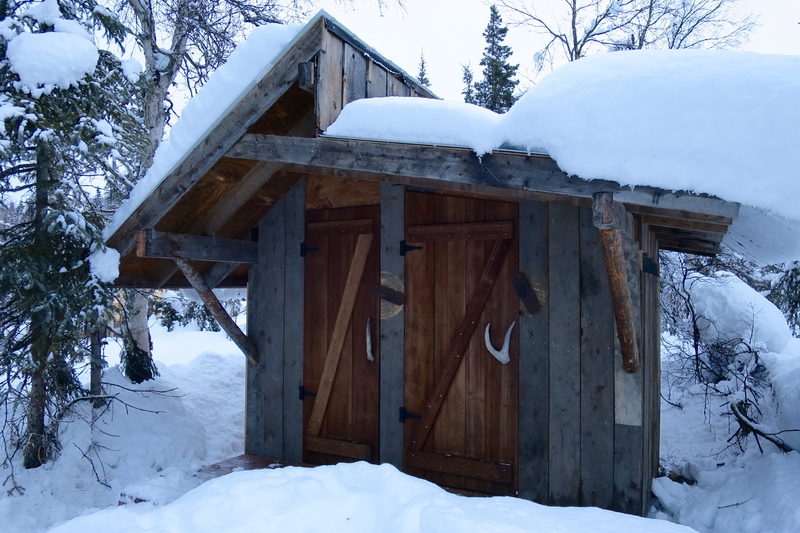 The last and best building on the trail is the Sauna! Nothing better than a hot sauna after a day of skiing. We dropped our stuff off, started a fire, then headed outside. The trail up to Manitoba Mt heads out right from the cabin and is a mellow trail with lots of switchbacks. No sun this trip, but the exercise was enough to keep us warm. 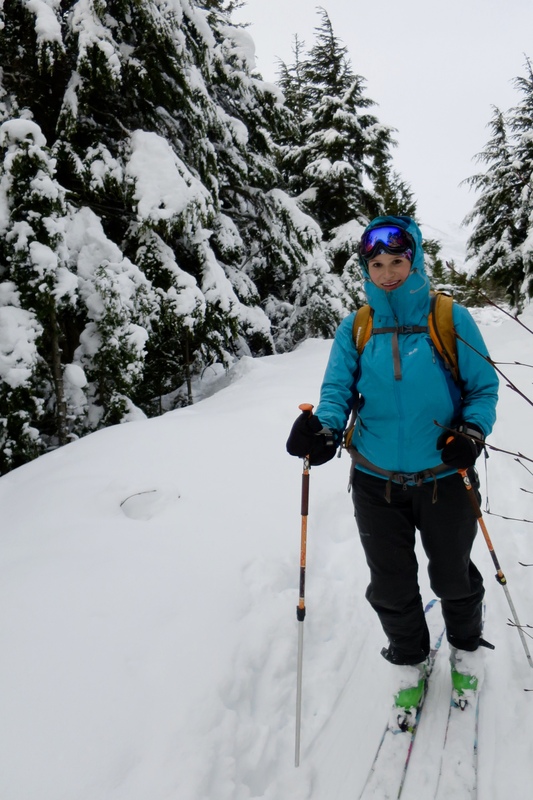 Still feels good to be out skiing at 7 months pregnant (belly is camouflaged by the skins stuffed in my jacket). 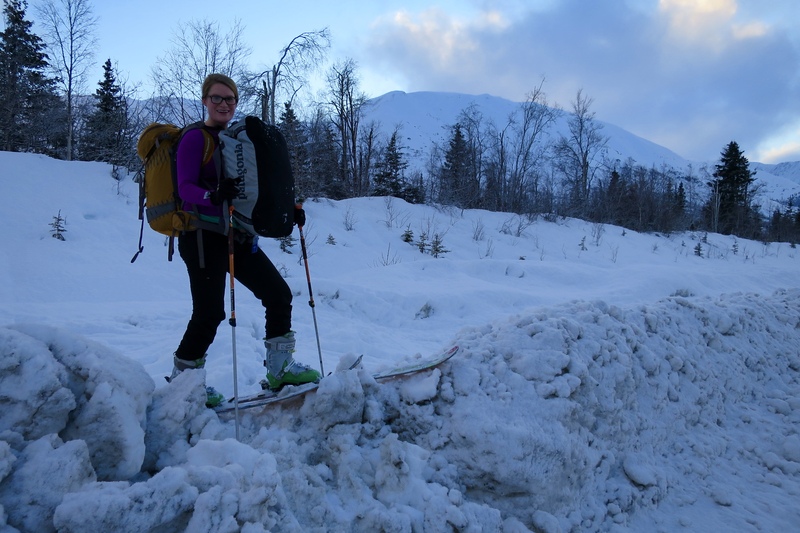 Happy to be out of Anchorage and enjoying the great outdoors just over an hour outside of Anchorage. 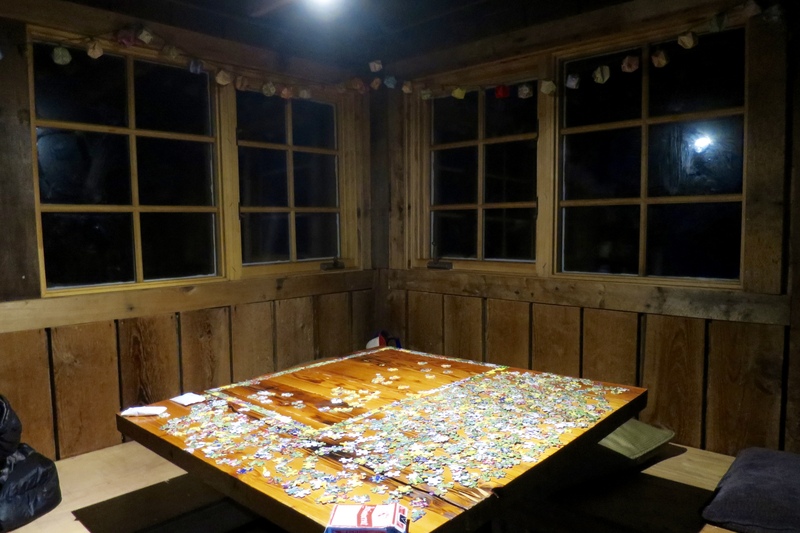 We wrapped up the day with a hot sauna, good food, and a ridiculously frustrating puzzle. Back to the car we go. So hard to leave a view like this! 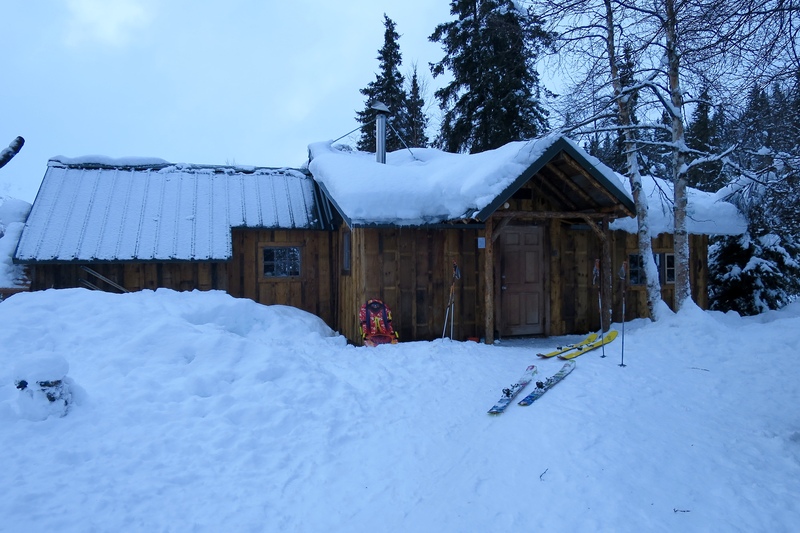 Get more info about having your own adventure at the Manitoba Hut here! How wonderful. So great places and freedom. Really wonderful! This really must be a place of happyness and peace.